Why Did Houston Become the Energy Capital of the World? You are here: Home » Why Did Houston Become the Energy Capital of the World? Houston is the energy capital of the world, and that is an indisputable fact! The city is home to the headquarters of more than 500 oil and gas exploration and production firms in the country and hundreds of firms providing supporting activities (we are one of them). Not only that, it has nine refineries producing over 2.3 million barrels of crude oil every day, making it one of the highest oil producers in the world. In Houston, there is a business district that stretches 7 miles along Interstate 10 known as the Energy Corridor. Many companies in both the energy sector and the non-energy sector have significant operations in the district. However, there have been developments, such as ExxonMobil’s new campus, in other parts of the city that could form Houston’s second energy corridor. 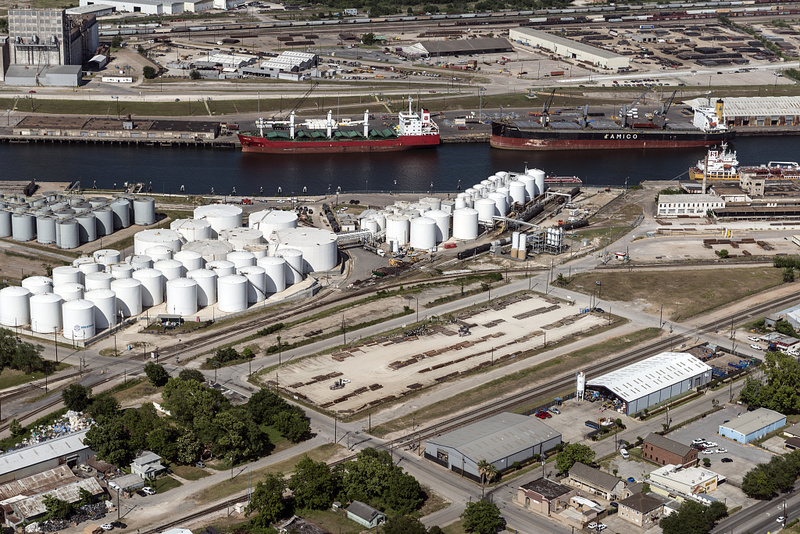 Energy facilities by the Houston Ship Channel. 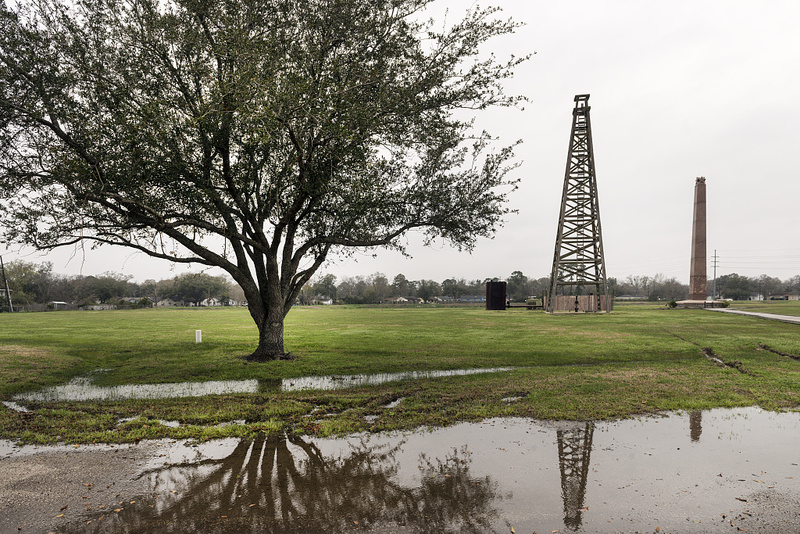 Houston was not always the land flowing with black gold as it is today. It was an entrepreneurial place since it was founded by two brothers known as the Allen Brothers. The land was fairly flat making it easy for the two brothers to subdivide it and sell it making a fortune from the sale of the lots. The Allen Brothers named the area Houston after their friend Sam Houston. In 1837, the Texas Congress moved to the muddy town from Colombia. This move gave people confidence to move to the area, and they started building log cabins. Less than a month later, Houston had its first church, but it was three years before a theater could be constructed. At the time, most people in the town practiced subsistence farming and cattle ranching. Within no time Houston was flourishing with freight wagons and railroad from Brazos River country converging in the town. Soon after, the chamber of comerce was advertising Houston as the place where 17 railroads meet at sea. The fact that the Gulf of Mexico was only 50 miles away did help grow the small muddy town. Houston officially became a port of entry on 16th July 1870, but the Port of Houston has been in the making from the moment the first steamboat made its way to Houston from Buffalo Bayou in 1844. It all started with a young man named Jesse Jones erecting buildings in Houston. He offered The Texas Company one of his new building for only $2000 a month. The deal was too sweet for the company to pass it up. The company was a big dog at the time, and others followed suit and moved to Houston. To accommodate larger and newer ships that could export crude oil and import supplies, the Houston Ship Channel had to be expanded. The move to expand the channel began on 10th January 1910, and it was finally opened on 10th November 1914. Spindletop’s history is preserved at The Spindletop-Gladys City Boomtown Museum in Beaumont, TX. Houston is yet to see its best years. Numerous local energy firms both large and small have been moving all their operations to Houston over the last few decades, this proves that Houston is still the World’s energy hub. But what makes Houston so attractive to these firms? Firstly, Houston is known to have a better business environment. It is an aggressive economic recruiter and is always actively courting energy companies even going to the extent of tailoring incentive packages for them. Its dominant position as the center of the industry is also self-fulfilling – companies locate to Houston because all the major players are based there. A business climate prevails with the “deal flow” where executives dine and meet casually to talk and strike deals. Houston’s innovative energy sector played a huge part in driving the fracking boom and still invests in research in these areas. The city has not been left behind when it comes to renewable energy, close to 90% of its municipal electricity is generated from renewable energy such as wind power. It is in prime position to play a leading role in this growing sector. The energy sector also gives back to the Houston community by sponsoring holiday celebrations, supporting university research, and through their generous donations to different charities. They also arrange for beach cleanups by their employees as a way of preserving the environment. Other than being the world’s oil hub, Houston has increasingly been diversifying its economy, partly due to the self-awareness that it needs to shelter itself from the boom and bust cycles of the energy sector. The city has a diverse industry sector. It is ranked the second in manufacturing GDP on the United States. It is home to the largest medical complex in the world, Texas Medical Center, which provides research, education and clinical healthcare at each of its 58 institutions. Houston boasts as it is home to more than 140 high growth startup tech companies. Houston is also the transportation hub to the United States heartland because of its equidistant location between the west coast and the east coast. It also has geographical advantages that make it ideal to set up logistics and manufacturing facilities. Houston was ranked one of the top 10 riskiest metropolitan areas in the U.S. when it comes to natural disasters. For an oil company, having to close shop due to a natural disaster can be quite disruptive. For example, after Katrina hit New Orleans, many companies moved their operations to Houston. However, it would take more than just a handful of companies moving from this city to cripple the world’s oil hub.